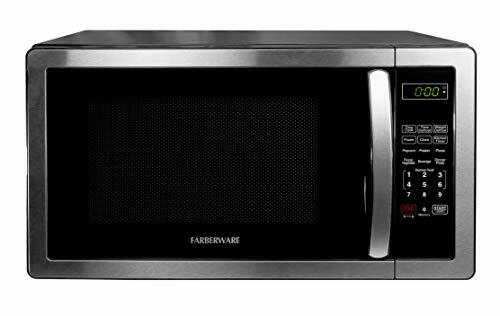 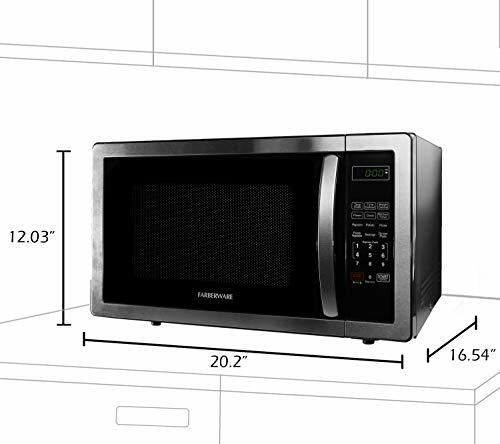 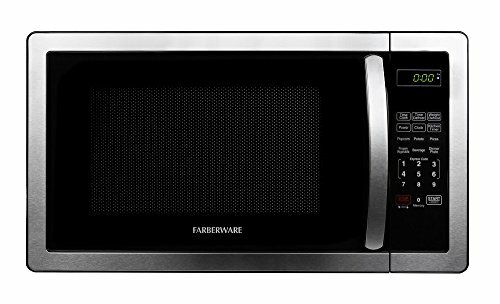 The Farberware Classic Microwave delivers power, style and convenience with a sleek Stainless Steel design. 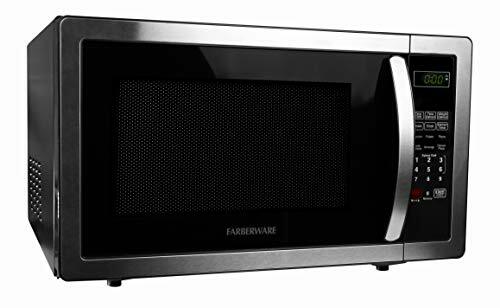 A generous 1.1 Cubic Foot cooking capacity, 1000 Watts of power, and 12.4 inch rotating turntable make the Farberware Classic the perfect multi-tasker for your kitchen. 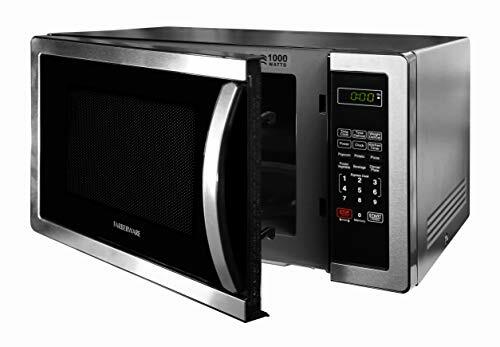 Features such as 1-6 minute Express Cook buttons and six One-Touch pre-programmed cooking functions for Popcorn, Potato, Pizza, Frozen Vegetable, Beverage, and Dinner Plate allow you to heat up your favorite foods fast. 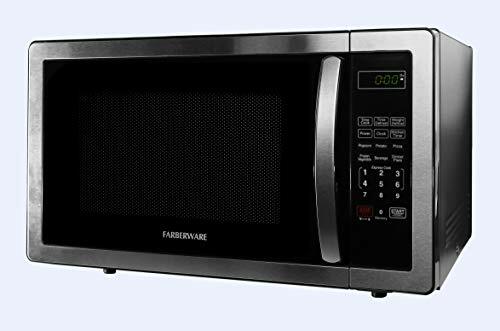 The Farberware Classic offers an easy to operate digital interface with a +30-Seconds control button, 10 power levels, Defrost Control by time or weight, and a Memory Function that stores and recalls your preferred cooking settings. 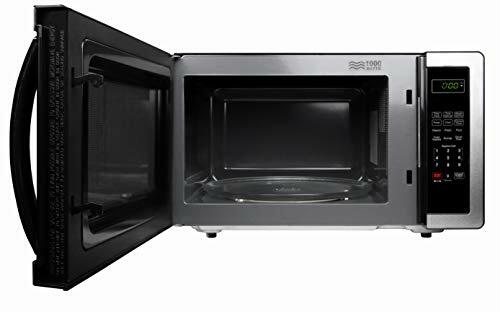 Multi-Stage cooking means that you can set the power level to adjust during the cooking cycle for perfect results without interruption. 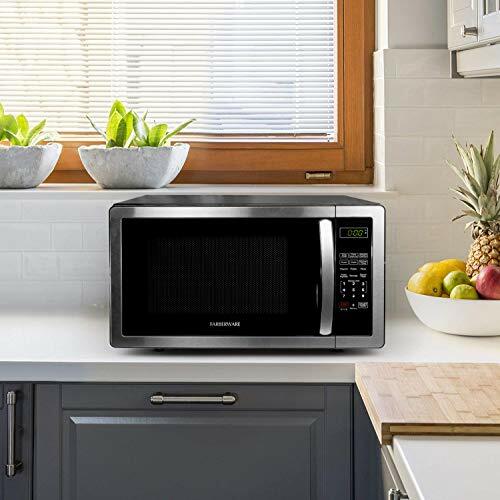 Additional features include an LED display with kitchen timer and clock to make keeping track of cook times simple, and a Keypad Lock function to prevent accidental operation.